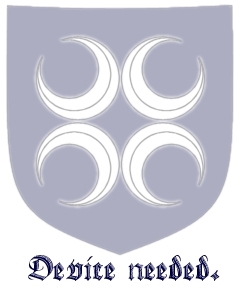 The Order of the Sparkes of Starkhafn is a youth award bestowed by the Baronage of Starkhafn. The symbol of the Order is a spark-covered field; "for as a spark can ignite a great fire, so will such children kindle the productive flames of tomorrow’s barony and society." The following badge associated with this name was registered in May of 1999 (via Caid): Per chevron azure estencely argent, and sable, a chevron, a bordure argent. "Our children represent the hope and promises of the barony. In their actions we see reflected our own endeavors, behavior and demeanor. When one of tender years shows special promise and enthusiasm, it brings honour and joy to the barony, and is especially worthy of the notice of the Baron and Baroness. Thus was created the Order of the Sparkes of Starkhafn, to recognize those youths who have displayed outstanding effort beyond their years." This page was last modified on 29 March 2019, at 18:24.